Draft: 2012, Atlanta Braves, 22nd rd. Shae signed a major league split contract with the Cubs in February ... is in his seventh pro season since being selected in the 22nd round of the 2012 draft by the Braves... Has appeared in parts of three major league seasons with the Braves (2014, 2016) and Mariners (2017), going 1-4 with one save and a 3.50 ERA (14 ER/36.0 IP) in 42 outings, all in relief... Missed the entire 2015 season after undergoing Tommy John surgery in February of that year ... was performed by Dr. James Andrews in Gulf Breeze, Fla... Appeared in a career-high 26 games with Atlanta in 2014, posting a 2.91 ERA (7 ER/21.2 IP)... After beginning his career in Atlanta's system, he was traded to Seattle, January 11, 2017, with OF Mallex Smith for P Luiz Gohara and P Thomas Burrows... In six minor league campaigns, he has posted a 2.06 ERA (30 ER/131.1 IP) in 120 outings (14 starts)... Named a mid-season All-Star in 2013 with Rome (South Atlantic League) and 2014 with Mississippi (Southern League) ... also named a post-season All-Star in 2013... Participated in the Arizona Fall League in 2013 and was named an AFL Rising Star... Attended Southeast Missouri State University ... was named second-team All-Ohio Valley Conference in 2012 ... earned a bachelor of science in criminal justice with a minor in criminology from the school in the offseason following the 2015 season. Shae began the season on the disabled list, making his season debut, July 6, as part of a rehab assignment ... appeared in 13 minor league rehab games and was activated by the Mariners, September 1 ... went 0-2 with a 7.04 ERA (6 ER/7.2 IP) in nine relief outings with Seattle in September... Was placed on the 10-day minor league disabled list, March 30, with a right elbow strain ... transferred to the 60-day disabled list, May 7... Made his season debut, July 6, with the AZL Mariners ... was transferred to Double-A Arkansas for three games and then appeared in nine games with Triple-A Tacoma ... all told, posted no record and a 4.91 ERA (6 ER/11.0 IP) in 13 games in the minors, all as part of his rehab assignment... Was activated from the disabled list September 1 and made his Mariners debut September 3 vs. Oakland (1.0 IP, 1 H) ... did not allow a run in his first six outings (6.0 IP, 1 H) ... allowed six runs in 1.2 innings over his final three outings... Struck out the side in a perfect inning of relief September 20 vs. Texas. Totals - Made 7 relief appearances with Atlanta, posting a 1.35 ERA (1 ER, 6.2 IP) with 3 strikeouts...On the Mend - Spent the majority of the season returning from "Tommy John" surgery performed on Feb. 12, 2015…began the seasonthe 15-day disabled list…included rehab assignments with AAA Gwinnett, A Rome and GCL Braves... Rehab Recap - Made 12 appearances (4 starts) with AAA Gwinnett, posting 1.50 ERA (2 ER, 12.0 IP) with 14 strikeouts…in 4 outings, including 3 starts) with A Rome, allowed 3 runs (0 earned runs) while striking out 4 and walking 1…started 3 games with GCL Braves, posting a 6.00 ERA (2 ER, 3.0 IP) with 5 strikeouts and 2 walks...Back in the Bigs - Recalled from AAA Gwinnett on Aug. 30…made his first Major League appearance since July 26, 2014 on Sept. 1 vs. San Diego; worked a scoreless 8th inning...No Runs for You - Did not allow a run in 6 of his 7 outings with Atlanta (1 ER, 6.2 IP). Spent the season on the 60-day disabled list recovering from "Tommy John" surgery that reconstructed the ulnar collateral ligament in his right elbow. Dr. James Andrews performed the procedure on February 12, 2015 in Gulf Breeze, Fla.
Enters 2015 rated by Baseball America as Atlanta's 27th-best prospect. Made his Major League debut in his third professional campaign after having his contract purchased on 5/31 from Mississippi (Double-A). He made his debut that night at MIA in the eighth inning and entered with oneout and two runners on; used three pitches to retire his only batter faced via strikeout. Earned his first career save on 6/1 at MIA (1.0 IP, 2 H, 1 BB, 18 pitches). Turned in seven scoreless appearances to begin his Major League career before allowing two runs (one earned) on 6/13 vs. LAA. At the time of his call-up, led the Southern League and ranked tied for third in the minors in saves (14). He had posted a 0.78 ERA (2ER/23 IP) and converted 14-of-14 save opportunities before his promotion. Placed on the 15-day disabled list on 7/29 (retroactive to 7/27) through the end of the season with aright shoulder strain. Made two rehabilitation appearances with Gwinnett (Triple-A). Entered 2014 as the 16th-best prospect in the Braves organization, according to Baseball America. Underwent successful "Tommy John" surgery on February 12, 2015 to reconstruct the ulnar collateralligament in his right elbow. The procedure was performed by Dr. James Andrews in Gulf Breeze, Fla.
Enters 2014 as the 16th-best prospect in the Braves organization, according to Baseball America...Tabbed by Baseball America as owning the best fastball among Braves farmhands...Named by the Braves as Rome's (A) Pitcher of the Year after logging 24 saves with a 1.49 ERA (7 ER/42.1 IP) before earning a promotion to Mississippi (AA) on 8/6...Combined to go 1-1 with a 1.69 ERA (10 ER/53.1 IP) between the two levels, surrendering just 31 hits while striking out 81...His 24 saves led the organization and ranked second in the South Atlantic League, despite spending his final month in the Southern League...Struck out a season-high five batters in a 2.0 inning save on 5/2 vs. Greenville...Went 27 consecutive games (5/23-8/11) without allowing an earned run, logging 42 strikeouts in 27.1 innings over that stretch...Made nine appearances with the Scottsdale Scorpions of the Arizona Fall League, pitching to a 0.90 ERA (1 ER/10.0 IP). Compiled a 1.46 ERA in 16 games between the GCL Braves and Danville with one start, two saves, and 16 strikeouts...Finished seven games for Danville with two saves, both good for third on the club. June 26, 2018 RHP Shae Simmons elected free agency. June 25, 2018 Chicago Cubs sent RHP Shae Simmons outright to Iowa Cubs. March 28, 2018 Chicago Cubs optioned RHP Shae Simmons to Iowa Cubs. 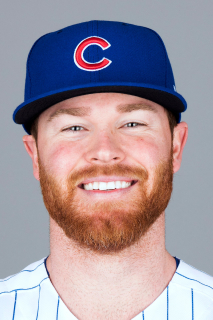 February 16, 2018 Chicago Cubs signed free agent Shae Simmons. December 1, 2017 RHP Shae Simmons elected free agency. September 1, 2017 Seattle Mariners activated RHP Shae Simmons from the 60-day disabled list. July 17, 2017 Seattle Mariners sent RHP Shae Simmons on a rehab assignment to Tacoma Rainiers. July 9, 2017 Seattle Mariners sent RHP Shae Simmons on a rehab assignment to Arkansas Travelers. July 6, 2017 Seattle Mariners sent RHP Shae Simmons on a rehab assignment to AZL Mariners. May 7, 2017 Seattle Mariners transferred RHP Shae Simmons from the 10-day disabled list to the 60-day disabled list. Right elbow strain. March 31, 2017 Seattle Mariners placed RHP Shae Simmons on the 10-day disabled list. Right elbow strain. August 30, 2016 Atlanta Braves recalled RHP Shae Simmons from Gwinnett Braves. August 8, 2016 Atlanta Braves optioned RHP Shae Simmons to Gwinnett Braves. August 8, 2016 Atlanta Braves activated RHP Shae Simmons from the 15-day disabled list. August 1, 2016 Atlanta Braves sent RHP Shae Simmons on a rehab assignment to Rome Braves. July 23, 2016 Atlanta Braves sent RHP Shae Simmons on a rehab assignment to GCL Braves. July 18, 2016 RHP Shae Simmons assigned to Rome Braves. June 10, 2016 Atlanta Braves sent RHP Shae Simmons on a rehab assignment to Mississippi Braves. June 5, 2016 Atlanta Braves sent RHP Shae Simmons on a rehab assignment to Gwinnett Braves. May 25, 2016 Atlanta Braves sent RHP Shae Simmons on a rehab assignment to Mississippi Braves. May 21, 2016 Atlanta Braves sent RHP Shae Simmons on a rehab assignment to Rome Braves. May 16, 2016 Atlanta Braves sent RHP Shae Simmons on a rehab assignment to Gwinnett Braves. April 3, 2016 Shae Simmons roster status changed by Atlanta Braves. November 4, 2015 Atlanta Braves activated RHP Shae Simmons from the 60-day disabled list. September 30, 2014 Atlanta Braves activated RHP Shae Simmons from the 15-day disabled list. September 29, 2014 Atlanta Braves activated RHP Shae Simmons. August 16, 2014 Atlanta Braves sent RHP Shae Simmons on a rehab assignment to Gwinnett Braves. May 31, 2014 Atlanta Braves selected the contract of RHP Shae Simmons from Mississippi Braves. January 13, 2014 Atlanta Braves invited non-roster RHP Shae Simmons to spring training. August 5, 2013 Shae Simmons assigned to Mississippi Braves from Rome Braves. August 5, 2013 RHP Shae Simmons assigned to Mississippi Braves from Rome Braves. April 1, 2013 Shae Simmons assigned to Rome Braves from Danville Braves. July 21, 2012 Shae Simmons assigned to Danville Braves from GCL Braves. June 17, 2012 Shae Simmons assigned to GCL Braves. June 8, 2012 Atlanta Braves signed RHP Shae Simmons.